I found out about this Photography Contest that is being held here in the High Country & I'm seriously considering entering some of my photos. This means that I need to do a major overhaul of what I have to offer from what has been taken in the past year or so with my new Lumix. When I bought my camera last year as a sort of Birthday/Christmas present to myself little did I realize the heights that little baby would take me to. I have dove in head first and am learning a lot of new things about myself as well as photography along the way. My Dad not too long ago asked me who my inspiration was, and normally this wouldn't seem like a hard question for someone to answer, especially when it is such a significant part of their life. But for me I didn't have an immediate answer, so I had to come up with one. My Dad is the closest to inspiration that I have had growing up, he gave me my very first camera when I was 10 or so, and when I got older I graduated to his 35mm Minolta that I still have but rarely use (which will change soon). When I was a kid I remember my Dad wanting to stop at each and every location we passed to snap a photo, and as a youngster you get a little annoyed at times because let's face it, kids can't sit still!! I have since taken on these attributes that as kids we didn't have the capacity to appreciate. I am the one who turns a 5 mile hike into a 6 hour photography extravaganza when it should only take a few hours. Cody makes fun of how I stop every 15 feet to take a photo of something. I'm getting a bit more discerning or calculated if you will and don't take nearly as many photos during a trek as I once did a number of months ago. 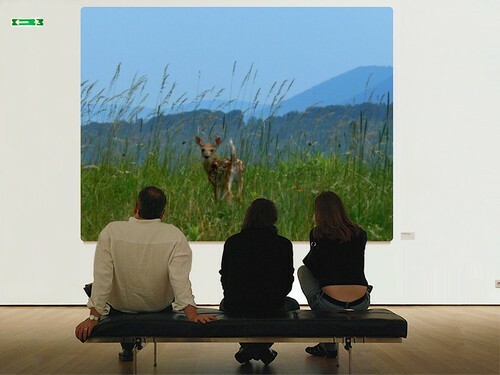 ***Some of you may recognize my Bambi picture above which I superimposed into a museum setting with some internet magic, I thought it would give me some motivation to sort through the copious amounts of pictures I have to come up with a few entries for the Photography Contest. I was racking my brain last night about the Flora & Fauna category, thinking what would be a good fit..............then it hit me like a ton of bricks, DUH - my little Bambi with the mountain background would be perfect! Now, this is only MY meager opinion, but I think it looks pretty good on that wall. What do you think? My plans are to a) go through my photos b) create a favorite photos folder c) upload the photos to Flickr so that maybe I can get some feedback from those willing to participate in helping me choose which ones I will enter. 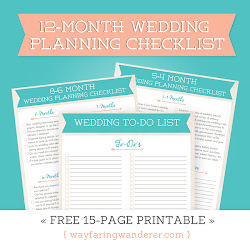 The goal is to have this completed by the end of the month, and use the month of January for feedback purposes. YOUR INPUT IS GREATLY APPRECIATED, DROP ME A LINE!!! I believe I am familiar with the contest ($5.00/photo, same contest?) I have 2 I plan on entering myself, in the parkway panorama and action photo categories. Good luck to you. I don't think I can come up with one for every category which would be nice, we'll just have to see what I come up with once I sort through everything!